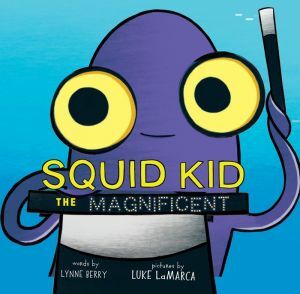 Oliver isn't an ordinary squid; he's Squid Kid the Magnificent! But his sister, Stella, will tell you otherwise. While Oliver performs various feats of magic-like vanishing in ink, or making dozens of squids suddenly appear-Stella sees right through each illusion, and is far from impressed. But the show must go on and Oliver has saved his best trick for his pesky sister.